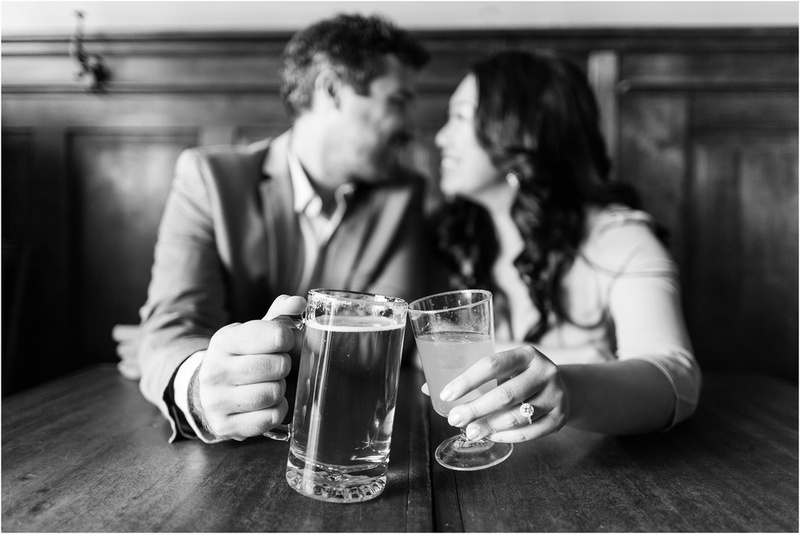 Megan and David wanted to make their engagement session one to remember! What better way to celebrate their love, than return back to where they had their first date? I met the two at Comstock in San Francisco, where they sipped drinks and cuddled up in the adorable, little bar. For our second location, we drove out to Land's End, one of the most gorgeous spots in San Francisco and where David happened to propose. There really is no beating the natural beauty of the ocean and the sun streaming through the cypress trees. We then headed to the Embarcadero, where the two both work and spend so much of their time. I love when a couple really makes a session their own by visiting places so close to their hearts. Congratulations Megan and David! I cannot wait for the wedding day!